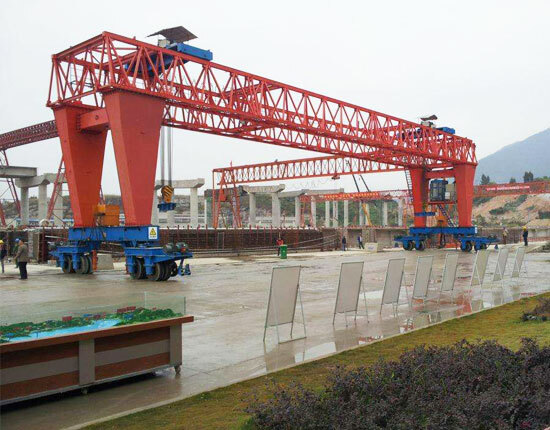 Double girder gantry crane is capable of handling large and heavy loads in outdoor workplaces, such as port, shipyards, warehouse and construction site. The lifting capacity of double girder crane can reach hundreds of tons, therefore it is also a kind of heavy duty gantry crane. The double beam gantry crane has stronger carrying capacity, larger span and better stability in contrast with the single girder gantry crane, thus it will cost much more than the single girder type. 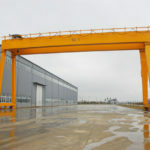 According to the main beam structure, the gantry crane falls in two forms including box type and truss type, and the former is more often adopted. We also supply non-standard custom designs to meet unique requirements of customers. 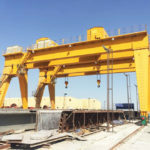 Looking for double girder gantry crane manufacturers? Ellsen can be your best choice! We supply varieties of gantry crane models, mainly including MG double girder gantry crane, BMG semi gantry crane and U type gantry crane, among which the MG crane is the most commonly used type in the industries. 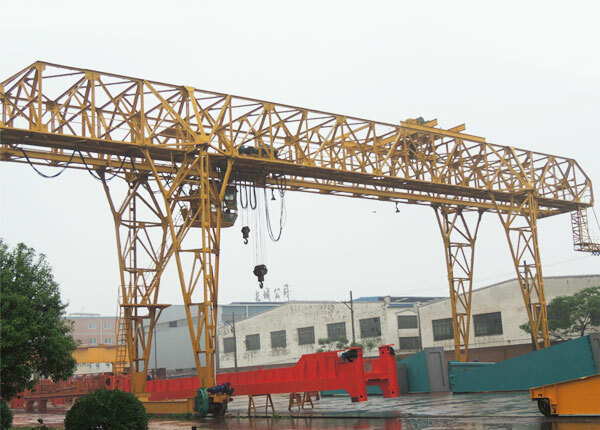 MG type lifting equipment is a kind of A-type gantry crane with saddle structure on top of the crane main beam, which enables it have a reasonable stress. The capacity of this overhead gantry crane can reach 320 ton so as to meet a large variety of needs. This double girder crane has greater lifting speed and higher working level compared with MH single girder crane. 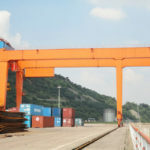 U type gantry crane, as its name suggests, is a U-shaped structure with the advantage of large space between the two legs, thus it is suitable for handling large and bulky items, such as container. Its capacity is usually up to 50 ton. 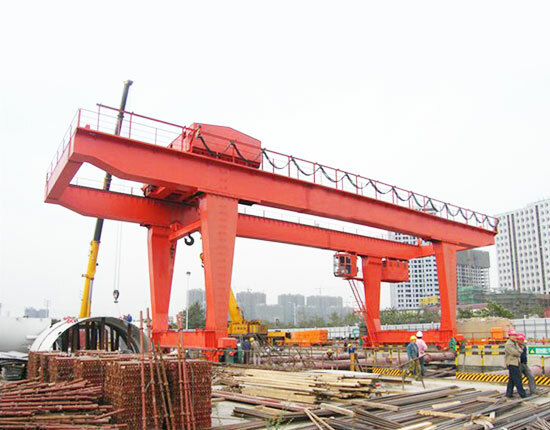 This double girder crane is operated by way of wireless remote control or cab operation. 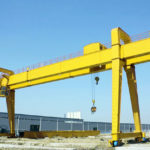 These gantry cranes are also available in other designs, such as double girder gantry crane with hook or grab bucket, or magnet double girder gantry crane. 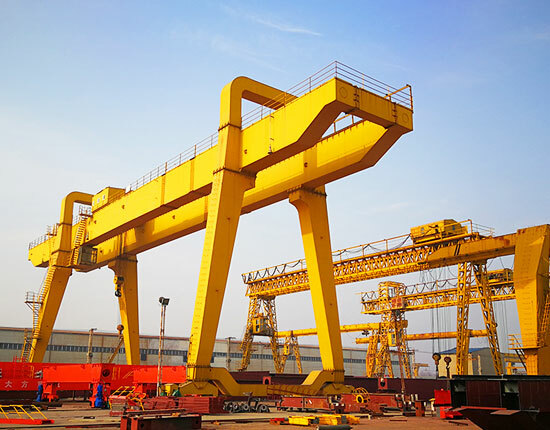 Besides, we supply other types of double girder gantry cranes including rail mounted gantry crane, rubber tyred gantry crane, container gantry crane and portable gantry crane for your choice. 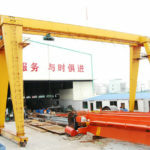 We have various types of gantry crane for sale. 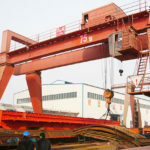 As you might expect, the double girder gantry crane costs much, so in a normal circumstance with required lifting capacity less than 30 ton or 20 ton, the single girder type is generally preferred based on economic considerations. 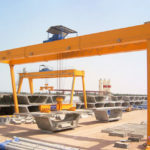 In contrast, the double beam gantry crane usually achieves a larger capacity, greater lifting speed and work duty, so it is more often adopted when heavy and long items are required to handle or a frequent lifting is required. 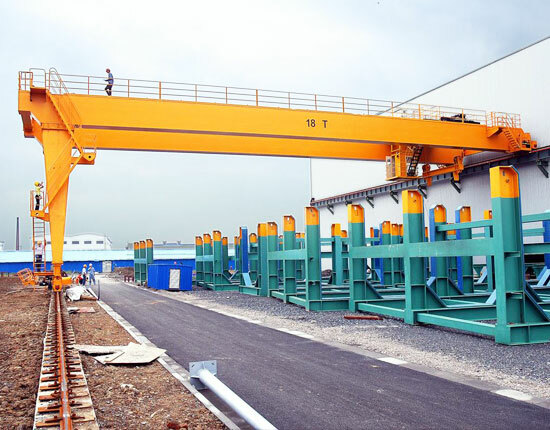 The double girder gantry crane price varies in different types, specifications, and applications, so before considering to buy gantry crane, you should think about your specific need and requirement for gantry crane so as to determine the most appropriate type. 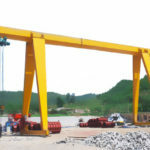 Want to get the best double girder gantry crane price? Contact our sales manager today to get the latest quotation. 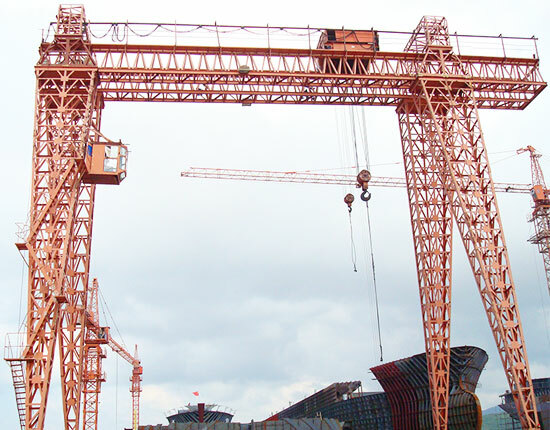 We will offer you high quality crane with favorable price! The double gantry crane has large capacity and smooth transportation as it can undertake heavy loads such as 20 ton, 30 ton, 50 ton, 100 ton and more. It can realize stable and reliable operation in the workplaces. This lifting equipment significantly promotes working efficiency and reduces manual labor. The crane has easy and convenient movement as it takes rail mounted or rubber tired design, so it can achieve a large lifting coverage in the outdoor places and also expand the coverage easily. 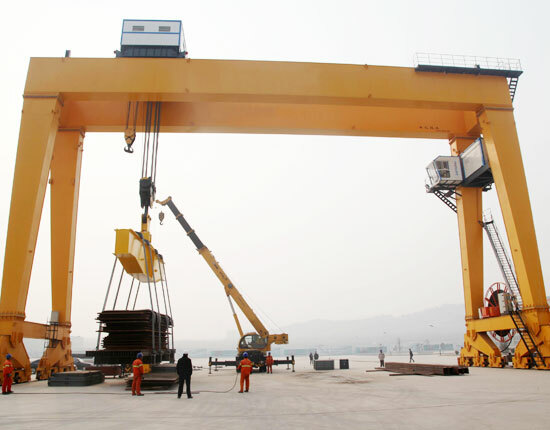 The gantry crane installation, disassembly and maintenance is convenient. Our gantry crane has high quality and durable performance thanks to the adoption of high quality components and precision machining. The gantry crane inspection and maintenance are critical for that they are highly related to the efficient operation of your crane. 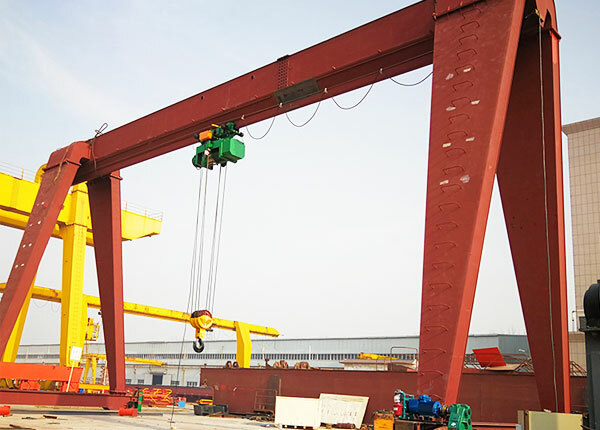 In order to improve the working efficiency and safety, you should conduct inspection and maintenance of your gantry crane regularly, and you will surely know they are worth the effort. Here are some notes on how to take care of your crane. The gantry crane inspection should be carried out before daily use. The crane operators, inspectors and other workers should be educated on the crane knowledge and operation regulations in order to ensure safety and prevent equipment damage. Pay more attention to the crane lubrication in that the working performance and service life of double girder gantry crane largely depend on the lubrication. Inspect some essential parts regularly including wire rope, hook, roller, wheels, brake and reducer. Determine the inspection frequency according to your crane design, working environment, lifting frequency, lifting distance and other factors so as to make a preventive maintenance. As a subsidiary of Aimix Group Co., Ltd, Ellsen has been engaged in designing and manufacturing bridge and gantry crane for over ten years, and provided numerous material handling solutions to our clients. Our gantry cranes have been exported to more then 80 countries and regions with good reputation among our customers. We always follow the principle of customer first and persist in supplying best service to them. To know more about our double girder gantry crane and its inspection and maintenance services, please feel free to contact us. Welcome to visit our factory and we are willing to cooperate with you!